Start your long-awaited journey before you even pack your suitcases! Create your own personal tourist route and visit 7 famous cities around the world. Get inspired with 700 unique and high quality photos. View architecture, monuments, art, national clothing, cooking and souvenirs. Find out everything a city is famous for in the world of tourism. Enjoy high quality images, convenient controls, heaps of clues and tools to help you configure the game to your liking. Special tasks and trophies make the game even more entertaining! Study the culture and traditions of cities in the comfort of your own home. 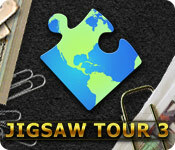 Travel around the world with Jigsaw Tour 3! Jigsaw World Tour 3 is rated 3.5 out of 5 by 6. Rated 4 out of 5 by Kasrobn from A World of Beauty I love jigsaw puzzles and I have long been searching for an online puzzle game to add to my collection. 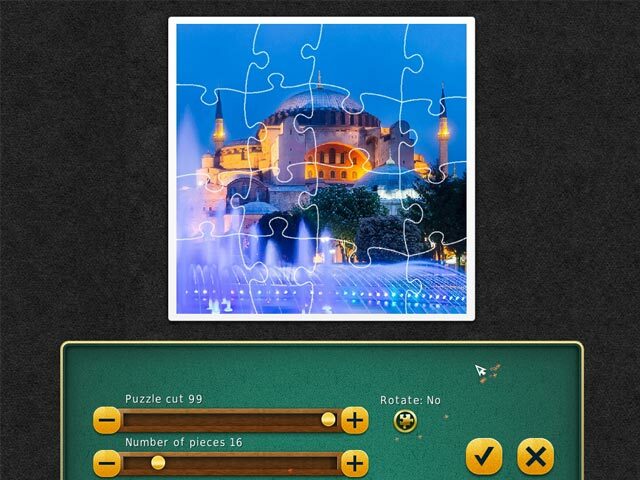 Sadly, the quality of photos in most puzzle games look like they were taken by an untalented tourist with a smart phone on a boring vacation. So kudos for a lovely variety of photos from Jigsaw World Tour 3. 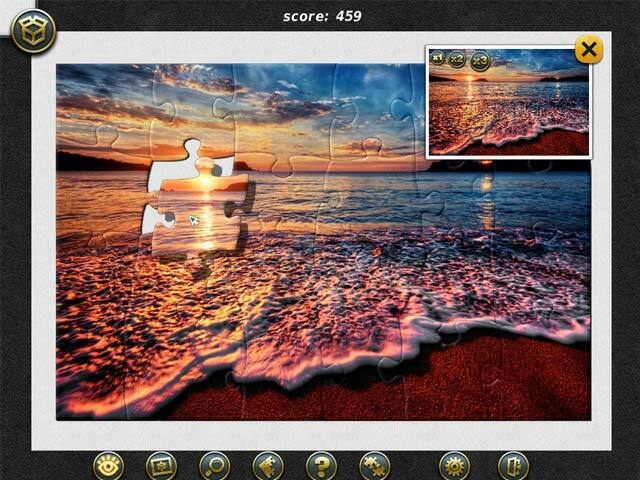 These are some of the first puzzle images I have seen that are shot with an eye for beauty, color, and composition. And there are more than a few to chose from. The play in most of these are fairly standard, with the ability to vary piece shapes and count, choose to rotate or not, to pull out just the borders, or show the image as a ghost should you wish. On the down side, I do agree that a good sound track is missing. I simply turned the sound off and put on my own but the in end this made me hesitate to purchase the game. I will likely wait for one that delights both eye and ear, but this is a step in the right direction. The other thing I would change in ALL of the puzzle games I have seen is the ability to look at the finished puzzle without cut lines for more than a few seconds. In fact, why not offer them as a screen saver? While there are small pictures to work by, I just worked 15-20 minutes putting the thing together so let me enjoy the full image for more than a split second. In summary, if you want a variety of beautiful puzzles to work, this one is one of the best. But like all the rest, it could still be much better. Rated 4 out of 5 by Heavenlyrabbit from Many Wonderful Photos. Easy To Use. Unambitious. I do like the photo selection and there are many of them. Easy to use. Graphics quality very good. Like all other puzzle games from this Developer- there are limited options in changing puzzle piece shapes. The music is utterly forgettable. And this is one prime reason I took away a star. It's called WORLD TOUR 3! Why didn't they find and use ethnically appropriate background music for each location to help evoke the mood of each site? It wouldn't have been that hard to do and would have added so much. Also like all the other puzzles from this Dev there is a background shadow when you "lift" a piece, sparkles and also a little "bleep" when you set a piece into place. I know this annoys some players. It doesn't bother me at all. I also don't care you can't import your own photos. Having access to the photos contained here is convenient.However, while I'll definitely buy this game to keep doing the gorgeous puzzles, I will be using a game token or Free Game. Recommend on strength of beautiful, varied and large photo selection and ease of use. Rated 4 out of 5 by pennmom36 from Touring The Jigsaw World I've always been a jigsaw junkie, but my least favorite puzzles are pictures of buildings, therefore I wasn't as thrilled with this game. There are 7 boxes available, each box has 100 different puzzles from New Delhi, Abu Dhabi, Cape Town, Seychelles, Mexico, Istanbul and Milan. 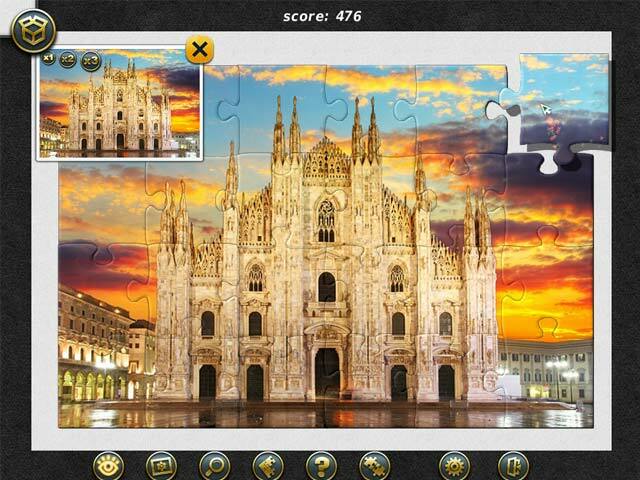 (mostly famous buildings) The puzzles range in size from 12 pieces to 247, however you can modify any puzzle for the number of pieces you want, the shape of the puzzle piece and even whether or not you want to be able to rotate the pieces. You can earn trophies and compete for top scores too. Each puzzle has several tools, a box to store some of the pieces in to keep the board uncluttered, you can choose to have just the border pieces shown until the border is complete and there is a sort button but I prefer to sort the pieces myself. You can choose to ghost the pictures image on the background or hang a picture in three different sizes, as well as the color of the background in blue, pink, green or gray. There are tools to help such as a magnifying glass and you can use the hint icon to show you two pieces that connect together. Grab a cup of java and relax....you don't have to worry about coffee spills on these jigsaws, enjoy! Rated 2 out of 5 by soxyboys from Jigsaw World Tour 3 I tried this for an hour. Unfortunately having picked a picture from Mexico - a Flamenco dancer when the pieces appear on the screen, they are different colours from the photo! Her dress was green which was correct, however, all faces and hands were pale blue, the red bandanas were bright blue. The blue line on the road turned out to be yellow. The next one I tried of pretty coloured houses had a terracotta sky!! No one else seems to have had this problem. Don't think I will be buying it. A shame because there were some lovely photos!